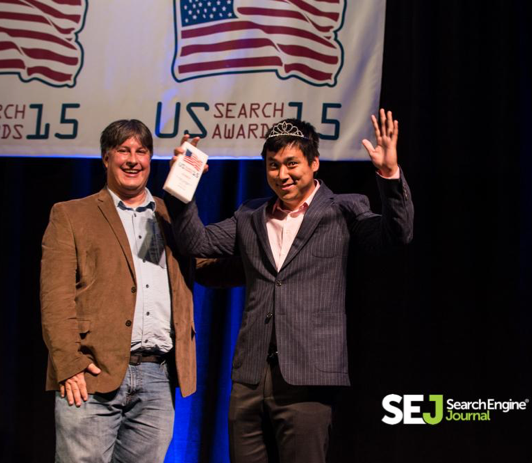 Let me start by admitting winning “US Search Personality of the Year” was my absolute favorite part of the last US Search Awards, at Pubcon Las Vegas 2015. I got 400% more conference keynotes this year, and I’m hugely grateful to the award that prompted this. And there were tons of awesome moments that night. Tributes, shout-outs, and lots of fun networking. 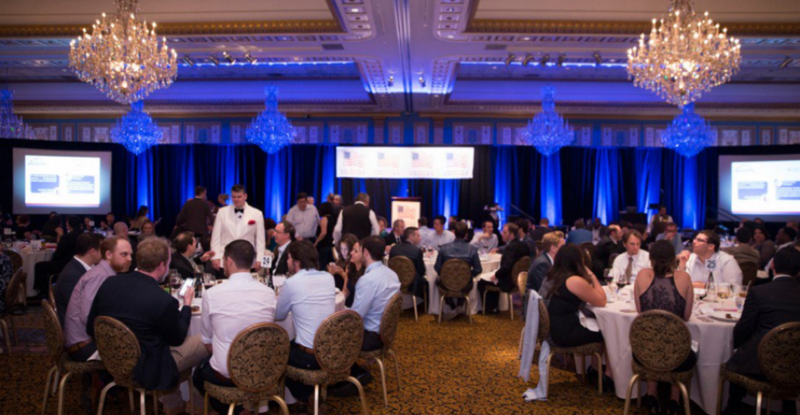 The US Search Awards at Pubcon are a crucial event—an opportunity for search marketers from across the country, from agencies and consulting firms and businesses of all sizes—to get together. It’s our chance to celebrate successes in the industry and inspire the leaders of tomorrow. 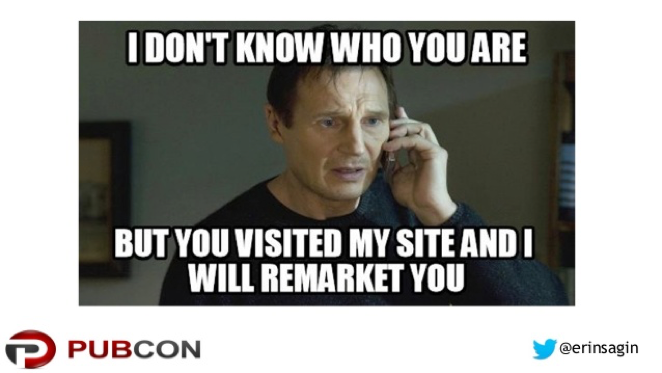 It’s part of Pubcon—the best social media, search and digital marketing conference on the planet. And it all happens in VEGAS! There are far fewer specifically search-focused events than there used to be. As search has become more and more interlinked with social, content marketing, and digital marketing as a whole, I’ve found I’m often struggling to pick out the search marketers at conferences. 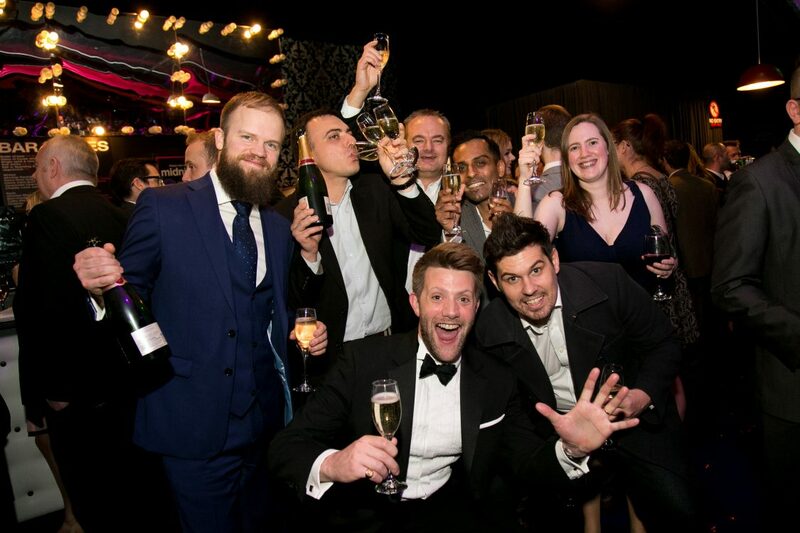 But when you find them—when you get a whole table or, as in the US Search Awards, a whole ROOM full of search marketers together, it’s magic. You have your powerhouse people and winners from last year, like Duane Forrester, Frederick Vallaeys, Marty Weintraub and Mel Carson. But then you get to hang out with these amazing front-line search marketers who are neck-deep in the weeds of PPC day in and day out. It’s an awesome mix of search marketing professionals, and it’s super rare these days to have just search marketers gathered together to talk only search marketing (well, and maybe craft beers and…other important and totally relevant issues). It’s a PPC nerd’s dream come true. Search marketing is a stressful industry. Depending on the size of the accounts you’re dealing in, you might be handling quite a bit of your own—or someone else’s—money. Google AdWords, Bing Ads and other networks are constantly innovating, testing and launching new features, retiring products and tools you’re used to using. You can’t sit back on your heels, because the competition is constantly coming for you. It keeps us on our toes, all right. That what makes this one night to get together and celebrate ALL THE AWESOME of search marketing so rewarding. 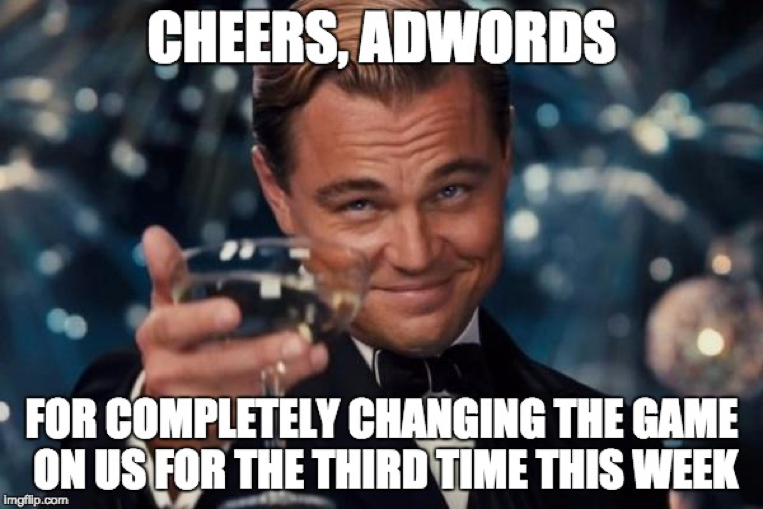 We spend most of the year scouring AdWords announcements, trying to educate clients, crunching numbers, begging for budget and basically pulling our hair out. By the time the US Search Awards roll around at Pubcon, we’re more than ready to take a step back and just look at our individual and collective achievements, to see what we can learn from them. One of my favorite aspects of the US Search Awards is that it happens during Pubcon, so it draws a huge, quality crowd of some of the top search marketing pros on the planet. In 2014, the event was held at Treasure Island and in 2015, at Paris Hotel & Casino. This year marks the fourth annual edition of the US Search Awards, and it’s all happening at Caesar’s Palace on the evening of Wednesday, October 12th. If you’ve ever been to a Pubcon, you know you need to rest up a few days ahead of boarding the plane to that pulsing, bling-y, blaring city of debauchery and awesomeness. Don’t plan on doing anything important when you get home, either. Even if you behave yourself after hours, the quality of the speakers and the content they share leaves one with a serious case of brain overload, and eager to try the new tactics and strategies in your own accounts. I can’t wait. Every year, the US Search Awards gets better and I can’t wait to see what’s in store for us this year! You have until July 22nd to get your entries in. Tweet me if you want to meet up, or if it’s your first time and you have questions about what the US Search Awards are really like. Hope to see you there! 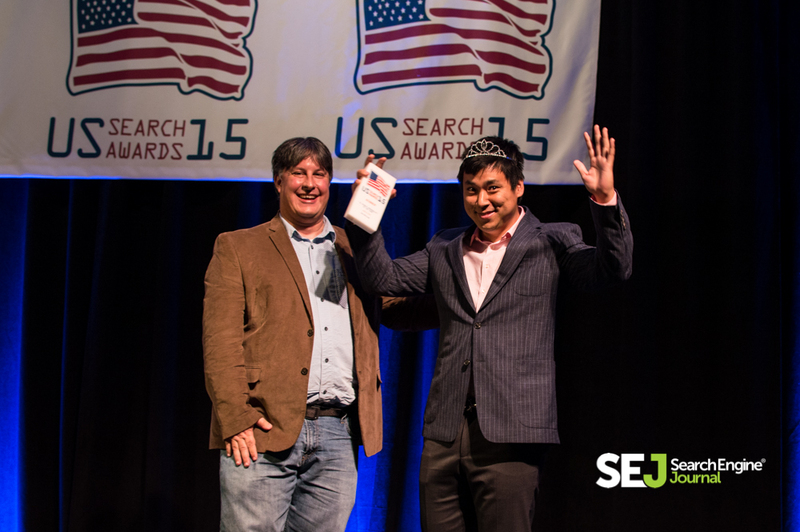 If you love the search as much as legend Larry Kim – isn’t it time you placed your entry for the US Search Awards 2016? For any information on how to enter, or on how you can get involved in sponsoring the awards – check out the US Search Awards site.